Install the COM Port Redirector and configure your serial program on one of the virtual COM ports - that’s all there is to it! Regardless of whether as a replacement for missing hardware COM ports, a solution for virtual environments like VMware, HyperV, etc., or as a simple line driver, you serial communication becomes network capable without a single line of programming. Network programming today belongs to the standard repertoire of all programmers. 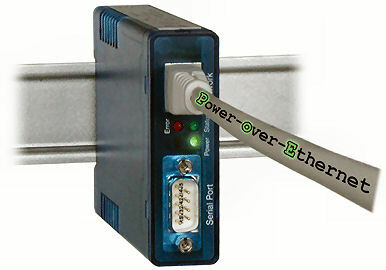 Integrate your serial device simply into your own network application. Take as a TCP client control of the connection into your own hands, be contacted as a TCP server using event-driven control, or use the efficient, contactless UDP protocol. For items not included See Accessories, Software page.